Youssef Tahiri, M.D. is a Board Certified Plastic and Reconstructive Surgeon with a subspecialty in Craniofacial Surgery. After graduating from McGill Medical School, in Montreal, Canada, he completed his Plastic and Reconstructive Surgery residency at McGill University and became certified by the prestigious Royal College of Physicians and Surgeons of Canada as well as the American Board of Plastic Surgery. During his residency, he demonstrated his commitment to research and academia by pursuing a Masters Degree in Experimental Surgery, which he obtained with Honors. 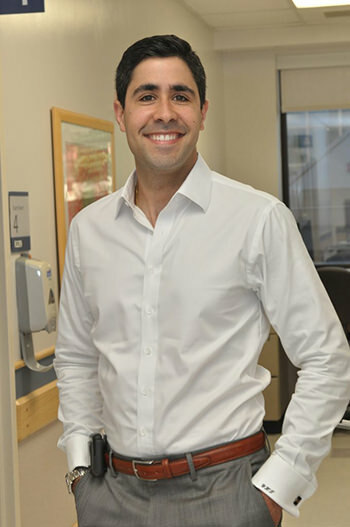 Following his training at McGill, Dr. Tahiri completed an ACGME accredited Pediatric and Adult Craniofacial Surgery Fellowship at the No.1 ranked Children’s Hospital of Philadelphia and at the prestigious Ivy League University of Pennsylvania. 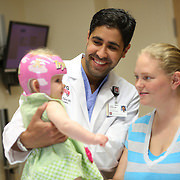 After completing his Craniofacial Surgery training at the Children’s Hospital of Philadelphia and the University of Pennsylvania’s Hospitals, Dr. Tahiri joined the Division of Plastic and Reconstructive Surgery at Indiana University. He routinely performed complex reconstructive, aesthetic and complex craniofacial procedures at the Riley Hospital for Children as well as Methodist Hospital and Indiana University Hospital in Indianapolis. After spending few years at Indiana University, Dr. Tahiri moved to Los Angeles to join Dr. Reinisch at Cedars Sinai Medical Center. Dr. Youssef Tahiri is a highly respected pediatric craniofacial surgeon who was hand selected by Dr. John Reinisch to partner and continue his practice of Microtia reconstruction. Dr. John Reinisch is the founder of the Medpore ear reconstruction technique and is considered the worldwide leader in Medpore ear reconstruction. Dr. Tahiri embraces the most innovative, cutting-edge technique available in craniofacial and microtia surgery. Dr. Youssef Tahiri has published a very large number of peer-review articles and presented his work at numerous regional, national and international scientific meetings. His research interests include outcomes evidence based clinical studies and translational research to enhance patients’ care and safety through improved techniques and technology. Dr. Tahiri specializes in Pediatric Plastic and Craniofacial Surgery as well as Adult Plastic, Reconstructive and Aesthetic Surgery.